France will deploy tens of thousands of police nationwide and around 8,000 in Paris on Saturday to handle a fifth weekend of ‘yellow vest’ protests, although the movement appears to be losing steam after concessions by President Emmanuel Macron, Reuters reports. “We need to be prepared for worst-case scenarios,” police chief Michel Delpuech told RTL radio. 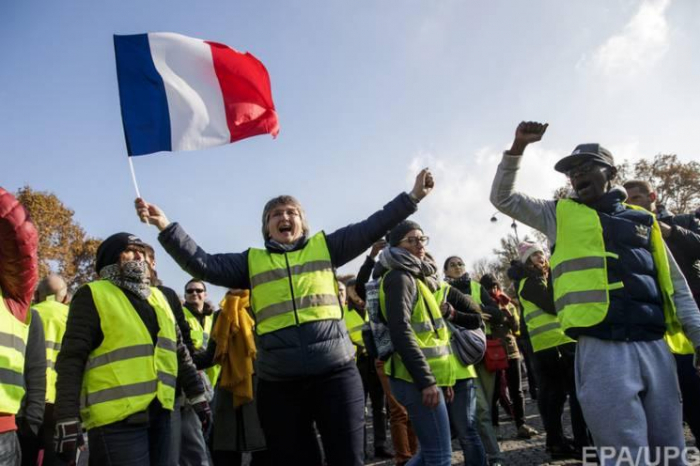 Nicknamed “Acte V” of the protests, the yellow vest demonstrators will take to the streets this weekend as France recovers from an unrelated attack on a Christmas market in the eastern city of Strasbourg on Tuesday, when a gunman shot and killed three people and wounded several others. “I’d rather have the police force doing their real job, chasing criminals and combating the terrorism threat, instead of securing roundabouts where a few thousand people keep a lot of police busy,” he said.